It appears that the Endermen have their own realm! One might conclude from the pillars that Endermen are aspiring builders, but they may serve alternate purposes. Additionally, both Notch and the above-shown image strongly suggest the future addition of dragons - a feature sought after by players for quite some time! As of this writing, there are no specifics on the new monster. We will update you as the information becomes available. Jeb recently noted an upcoming feature - the ability to locate Strongholds more effectively! Many players have noticed the sky-high, 1x1 glass towers that indicate the presence of a Stronghold, but these have been confirmed as a debug feature, which will be removed. Strongholds are an exciting addition to the Minecraft landscape, giving players more incentive to explore the world - who knows what could be found inside? Minecraft - Pocket Edition Comes Out Today! If you've been looking for a portable way to satisfy your Minecraft cravings, it's definitely worth a look - try it for yourself! Wow! Everyone wanted an ender place! So I guess you use those weird portal things to get there right? Soo wait... WHAT! Now only question which version of minecraft are these coming? Did you look at the sand texture??? 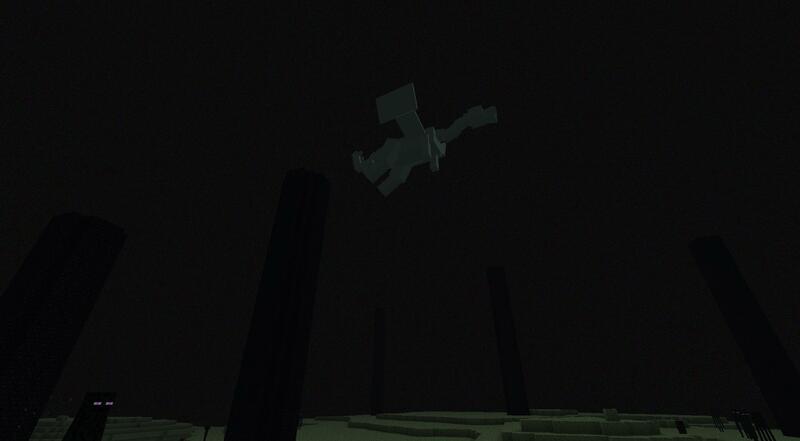 Ender realm is a place that is made of HORROR and will give you a new idea of horror and scary things! Ender realm? Enderdrakes? Me gusta. Wouldn't it be epic if the Ender was full of odd, cobbled-together buildings made of different blocks the Endermen had stolen from the overworld? Wow,but I dont recgonise those bricks......mabey enderstone....?Because it looks like obsidian but dosnt have the color for it,and the roof opf the Ender World looks kinda like bedrock mabey?Cant wait until 1.9 is out!